Clarksville, TN – Austin Peay State University head football coach Will Healy has added Joshua Eargle to Austin Peay’s coaching staff. Eargle will serve as offensive line coach and running game coordinator. Eargle comes to Austin Peay from East Texas Baptist, where in his three seasons as head coach, he turned around a program that won three games in his first season to a share of the conference title in 2015. 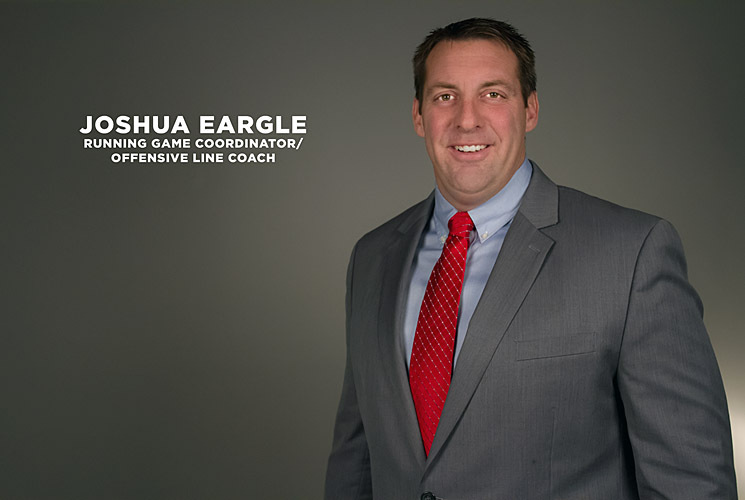 The 2015 American Southwest Conference Coach of the Year, Eargle has experience at the FBS, FCS, Division II and Division III levels of collegiate coaching. Over that time, he has served on both sides of the ball, including as offensive coordinator (Monticello State, 2010) and defensive coordinator (Southeastern Oklahoma State, 2012). Despite being a man who has largely coached offense during his career, Eargle’s Southeastern Oklahoma State defense ranked 29th nationally among 156 Division II programs, and was 11th in pass defense. At ETBU, Eargle’s ascent saw him coach 20 All-ASC first- and second-team players, including four Division III All-Americans—quarterback Josh Warbington and running back Kendall Roberson posted back-to-back All-American campaigns in 2014-15. In total, ETBU established 23 individual or team season records during Eargle’s three seasons at the helm. Eargle gained his coaching start in 2003 as a graduate assistant at Southern Miss, spending two years as a GA and another season with the program in 2006—the 2003 Golden Eagle squad captured a Conference USA championship with an 8-0 league record, and the 2006 team won the East Division at 6-2. 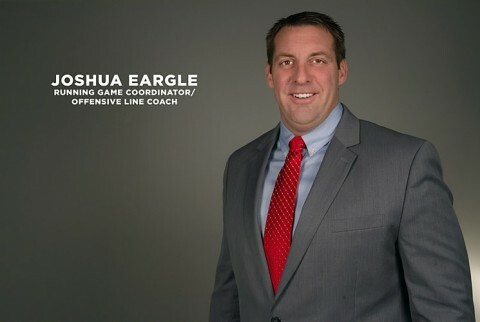 Eargle also coached LSU’s offensive line in 2009, and his four FBS season’s yielded four bowl trips—2003 Liberty Bowl, 2004 New Orleans Bowl, 2007 GMAC Bowl and 2010 Capital One Bowl. Austin Peay will be Eargle’s second FCS level stop—he coached the offensive line at Nicholls State in 2007-08. His other coaching homes have included Ouachita Baptist (2005) and Hallsville High School (2011). At the collegiate level, Eargle has had at least one player at each coaching stop earn an all-conference honor. A 2001 Memphis graduate, Eargle won the inaugural Top Tiger Award, presented by Tommy West to the player who battled back from adversity or overcame difficult circumstances to return to the field. He earned his Master’s in Sports Administration from Southern Miss in 2004. He and his wife Kristen have two daughters.